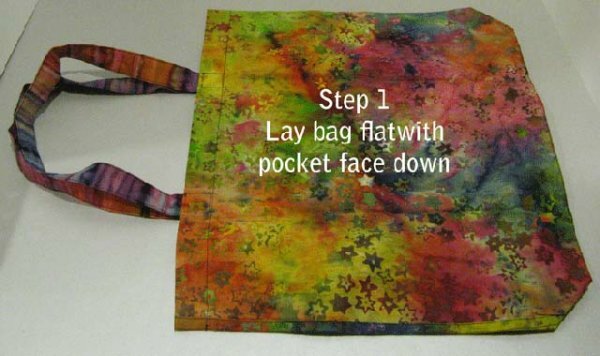 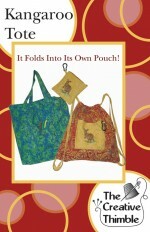 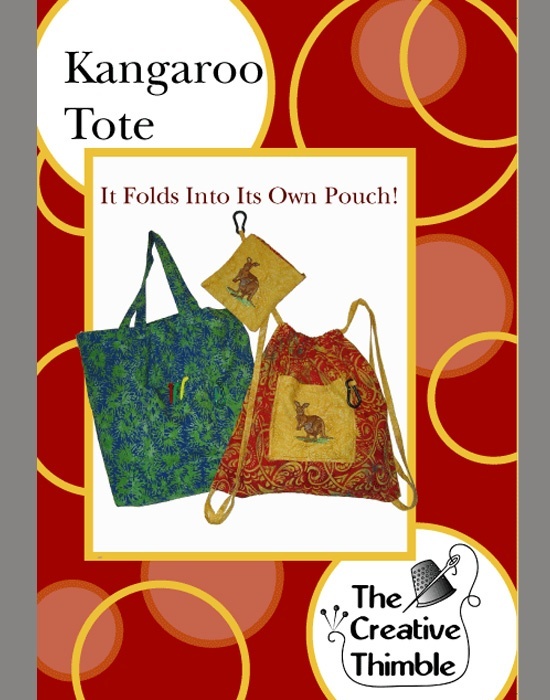 This easy to sew, lightweight tote can be made into a shopping tote, backpack or as a drawstring bag. 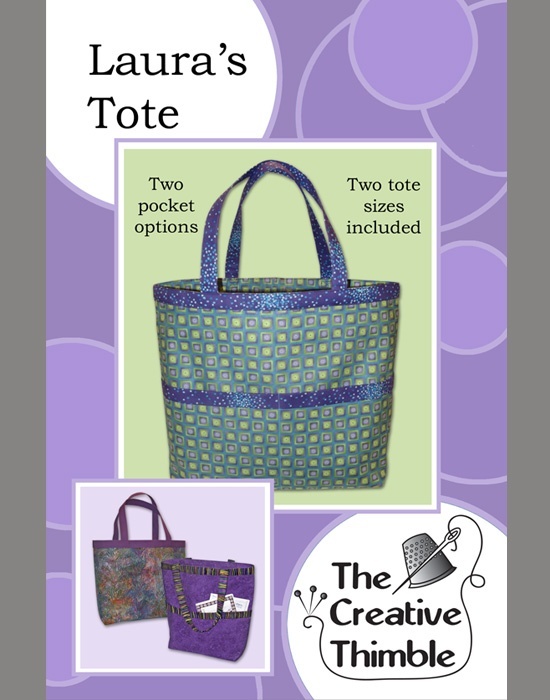 It has an inside pocket that closes with Velcro and the tote folds up into the 6” square outside pocket. 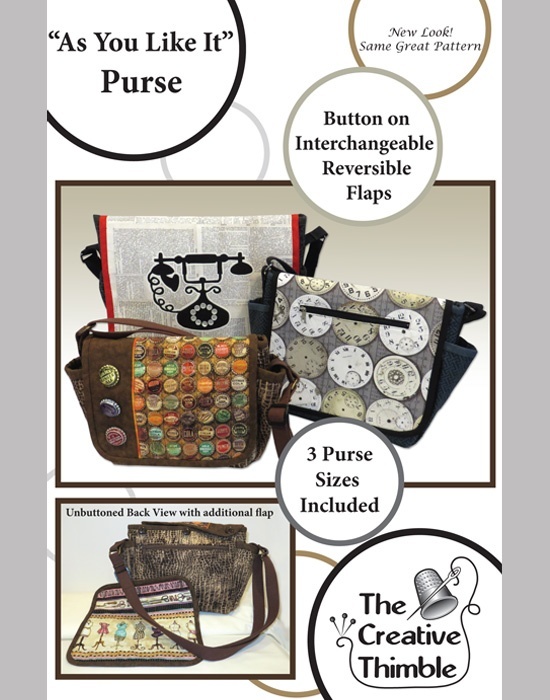 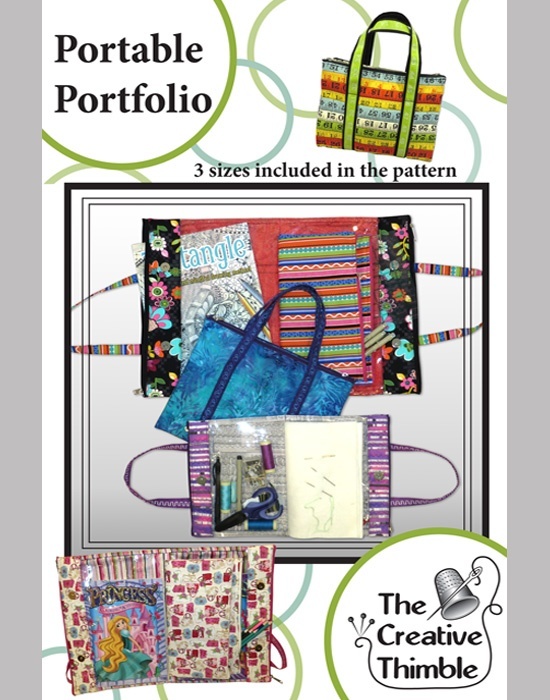 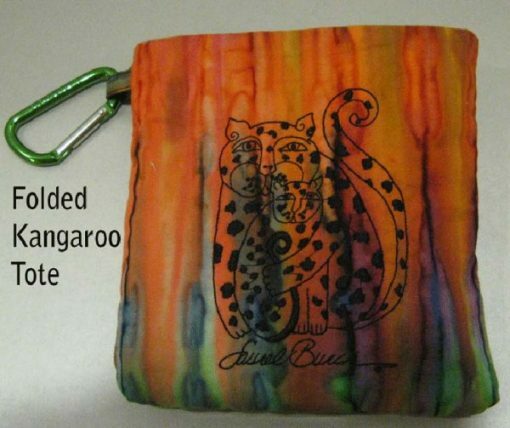 The front pocket is a great place to showcase your favorite embroidery, appliqué or patchwork. 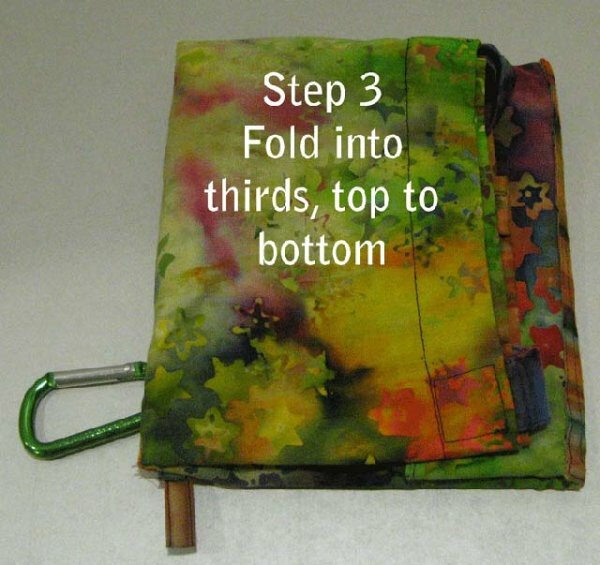 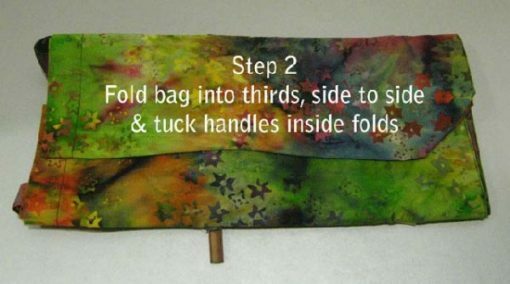 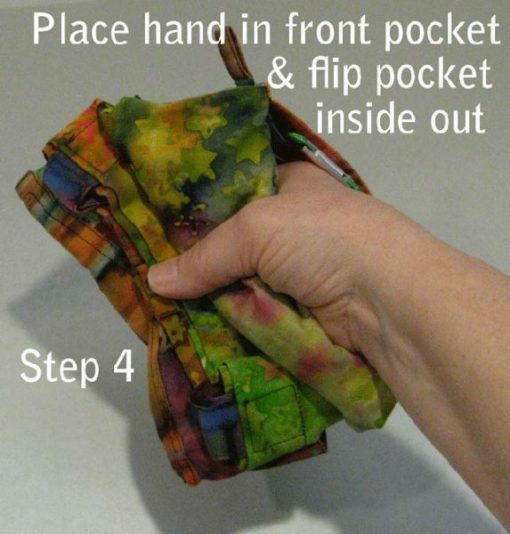 You can clip your folded tote onto your purse and you will be ready when you need an extra “pouch” to carry all your purchases or groceries, just unfold and go. 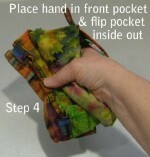 Step 4: Place hand in front pocket and flip pocket inside out.